Ukraine is popular not only as a resort region of the Black Sea coast, but also as an area of available prices on almost everything. Properties in Ukraine are also quite accessible to investors with an average income, as particularly popular is the coast area, where the real estate from the owner is offered in a large number and variety. If you are interested in a comfortable stay, it is best to pick up real estate on the coast, but if your goal - a business trip and rent, it is better to move in the direction of the large cities of Ukraine. In order to conduct your own business, is very reasonable to purchase a commercial real estate in Ukraine - offices, restaurants or hotels. A great option for investment is real estate in the popular major city of Odessa – besides the recreation opportunities, the city has active cultural life, developed industry and science. In terms of rental earnings is relevant the capital - Kiev and the city of Kharkiv – another major metropolis of the country. Pricing has markedly dependent on the location and, of course, on the quality. In general, the country’s averages are quite accessible. Of course, they are higher in the popular holiday regions and the capital. The crisis has not bypassed Ukraine that is why the activity in the housing market has declined slightly, as the cost of objects - there was even a fall in prices up to 50%. Today, the situation has stabilized, although experts do not predict any large price increases, or their fall. Properties from the owner in Ukraine are not all of good quality, but the new developments - another matter. Lodgings in Ukraine from the builder are a lot better, not to mention the modern buildings that differ with interesting and convenient layouts. Given the considerable number of proposals, it is believed that the price in the near future will not be artificially overstated. New property in the country - a profitable and promising investment. 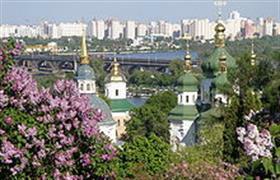 Purchase of real estate in Ukraine by foreigners is simple. They are allowed to buy residential real estate and commercial areas. All they need is an international passport. For residents of Russia in particular - can be presented even the Russian passport. The most important thing - to connect with a proven reliable agency that will conduct a legitimate and safe transaction.